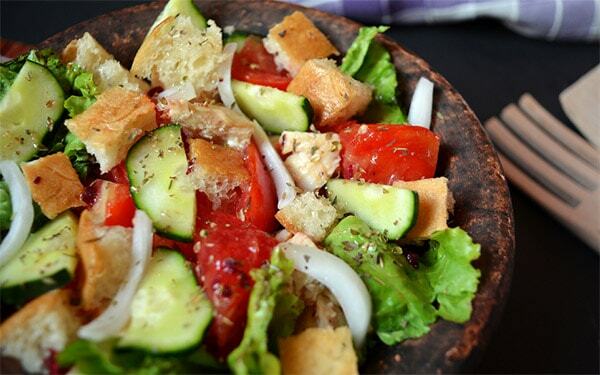 I wish to share with you another Italian classic recipe for an excellent salad that can be served as a satisfying meal. Chicken panzanella is a good source of nutrients and flavours that are combined together into a lovely salad which is then sprinkled with a perfect mixture of Italian herbs and spices. Give it a try! Cut chicken into bite-sized pieces and set aside. Grease a non-stick pan with olive oil and heat up over medium-high heat. Add chicken and cook for 5-6 minutes, or until golden brown. Remove from the heat and transfer to a bowl. Add the remaining ingredients and toss well to combine. Sprinkle with apple cider and season with Italian seasoning.